On this day in 1991 the end of an era arrived as the Soviet Union National Team played their final game in a major international tournament. 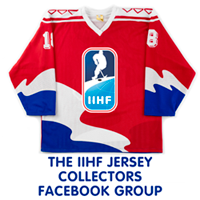 The Soviets announced their arrival on the international hockey scene in fine style (while wearing blue jerseys! ), taking the gold medal home from the 1954 World Championships in their first attempt. 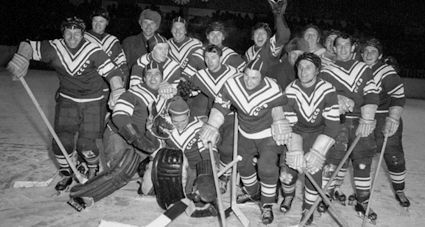 The Soviets had only started playing ice hockey in 1946 and stunned the hockey world with their 7-2 victory over Canada in the final. 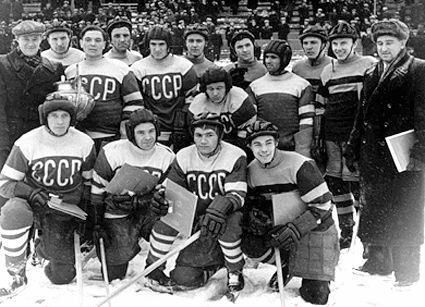 After a silver medal in the 1955 World Championships, the Soviet Union claimed it's first Olympic gold medal in 1956 with a perfect 7-0 record. After a string of silver and bronze medals from 1957 to 1961, the era of Soviet dominance swung into high gear with ten consecutive gold medals from 1963 to 1972, which included a trio of consecutive Olympic golds in 1964, 1968 and 1972. Their run was interrupted by a silver at the 1972 World Championships before reeling off another four straight from the 1973 World Championships to the 1976 Olympics. Five more World Championship titles followed from 1978 to 1983 and their sixth Olympic gold in eight tries in 1984. The final chapter of the Soviet National team saw them win the World Championships in 1986, the Olympics in 1988 and their final two Worlds in 1989 and 1990, the last gold medal for the Soviet Union National Team. With the political landscape at home undergoing a historic upheaval, the Soviet Union was unsure if they would even send a team to compete in the 1991 Canada Cup, but they eventually took part. 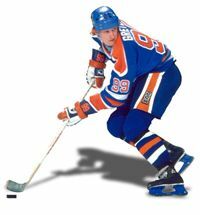 Having suffered the loss of young star Alexander Mogilny to defection and players such as Slava Fetisov, Vyacheslav Bykov, Andrei Khomutov, Pavel Bure and Vladimir Konstantinov all unavailable due to commitments with professional clubs in the NHL and Europe, Evgeny Davydov left off the squad for refusing to sign a contract with the Red Army club team, and the refusal of Latvian goaltender Arturs Irbe to play for the Soviet National Team any further for personal political reasons, the Soviets did eventually decided to field a team just a few weeks before the tournament. The Soviets set the tone for their tournament with an opening 5-2 loss to Czechoslovakia. A 3-2 loss to Sweden followed before showing signs of life when they pounded Finland 6-1. A 2-1 loss to the United States put their participation in peril. With one playoff round berth remaining up for grabs, Czechoslovakia, Sweden and the Soviet Union were tied at 2 points apiece with a single game remaining. Before the Soviets could even take to the ice, Sweden defeated Czechoslovakia, knocking the Soviet Union out of the upcoming playoff round. In their final game, the best they could hope for was to deny Canada the top seed going forward. Ravil Khaidarov scored for the Soviets at 3:13 of the first, but the period ended even when Canada scored at 14:47 on the power play. Andrei Kovalenko scored unassisted at 7:46 followed but Canada's Bill Ranford stopped Vitali Prokhorov from converting a penalty shot less than a minute to give Canada a boost by keeping the score at 2-1. 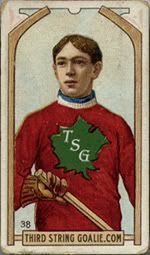 Steve Larmer evened the score for Canada at 7:15 of the third following a penalty to Soviet goaltender Mikhail Shtalenkov. Alexander Semak put the Soviet Union back on top with under seven minutes to play, but Canada's Brent Sutter tied the game with 5:18 to play. The game would remain tied at the end, giving Canada the top spot in the Round Robin stage and bring a quiet end to the history of the Soviet Union National Team following 37 years of excellence. From 1954 to the 1991 Worlds, the Soviet Union took home a medal in every World Championship and Olympic Games, a streak of 39 out of 40. The only time they do not appear on the podium is 1962 when they did not participate due to international politics outside of the sporting world. 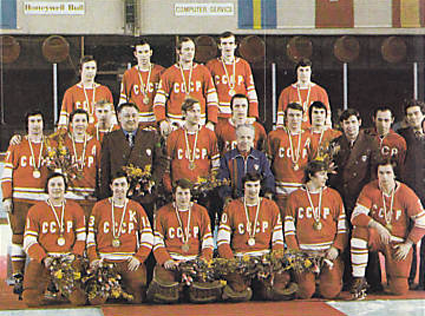 In addition to the World Championships and Olympics, the Soviets won the championship in 1981, placed second in 1987 and third in 1976, lost in the semifinal in 1984 in the first four Canada Cup tournaments. 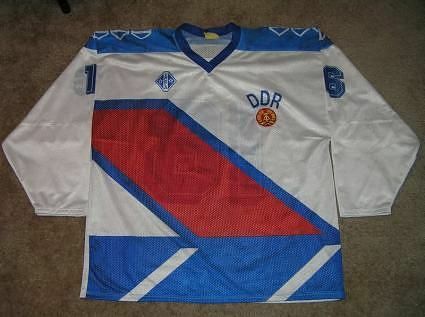 Today's featured jersey is a 1991 Soviet National Team Vitali Prokhorov jersey. This style was a huge departure from the minimalist Soviet designs of the past. 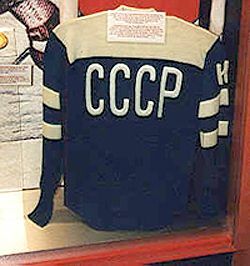 Prior to the 1991 Canada Cup, the vast majority of Soviet jerseys were simple red jerseys with a few basic white stripes and one color white numbers adorned with "CCCP" across the chest in a very basic font. Just the addition of yellow accents and running the CCCP logo at an upwards diagonal by Tackla in the 1989 was considered flashy by Soviet standards. 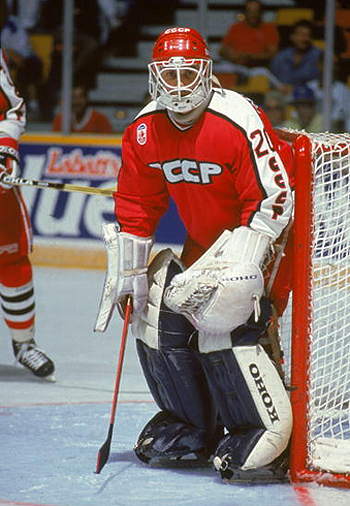 The addition of the bold use of black, the stylized font used for the CCCP logo and the full length sleeve stripes made for an arresting look which seemed more at home in the NHL, while still retaining the intimidating look of The Big Red Machine, even if the team's roster had changed. 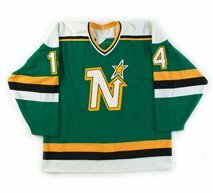 There was an early prototype of this jersey made with an even more arresting hammer and sickle logo, but that style was never used in competition but remains available in replica versions, and is in fact much more commonly found that the actual 1991 Canada Cup game worn version featured here. Our video section today begins with a tribute to Soviet hockey history and their many successes. Next, classic Soviet hockey footage is shown as Igor Larionov's daughters Alyonka and Diana sing Ave Maria prior to a legends game outdoors in Moscow's Red Square. Awesome article. Great angles. Superb research.